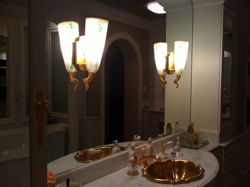 A sconce is a type of light fixture affixed to a wall in such a way that it uses only the wall for support, and the light is usually directed upwards, but not always. 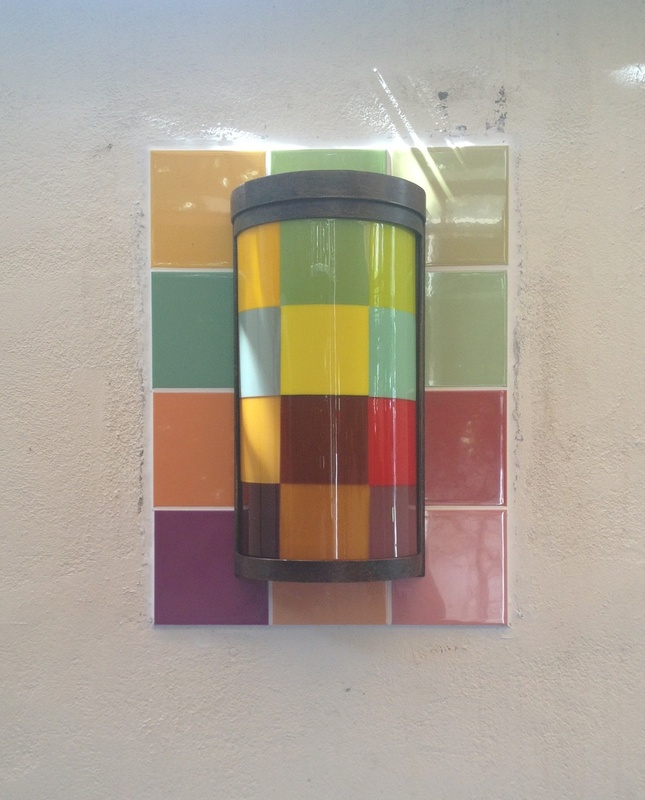 It does not have a base on the ground. 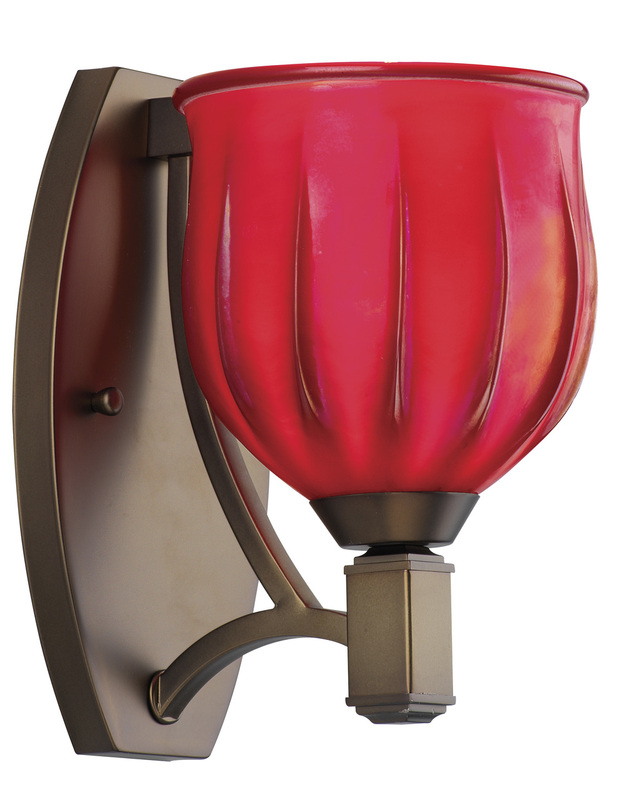 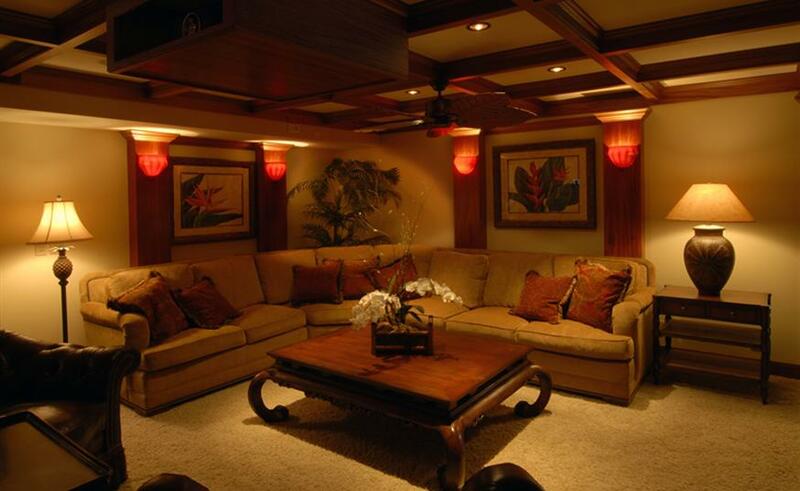 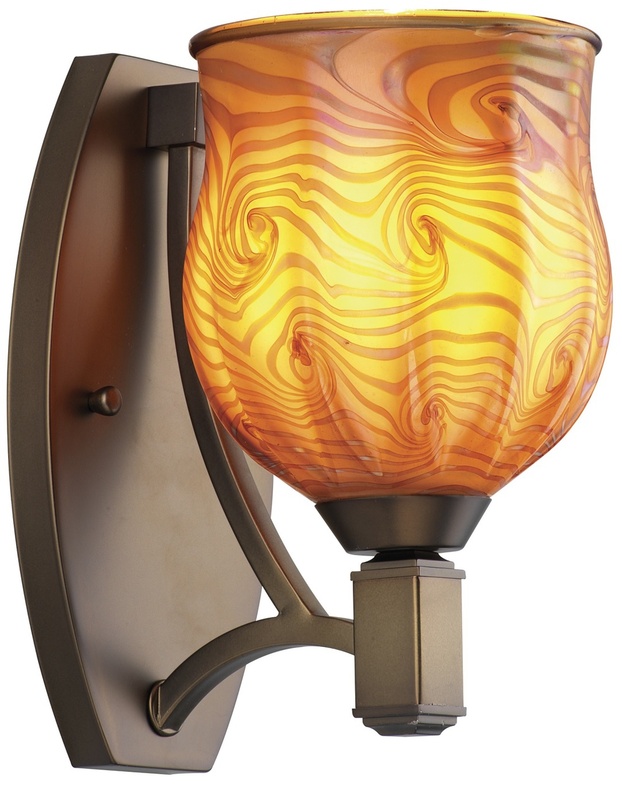 Modern electric light fixture sconces are often used in hallways or corridors to provide both lighting and a point of interest in a long passage. 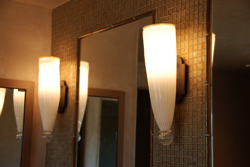 Sconce height in a passageway is generally 3/4 of the distance up the wall as measured from the floor to the ceiling, and the distance between sconces on the wall is generally equal to the distance of the sconces from the floor, often alternating sides of the passageway. 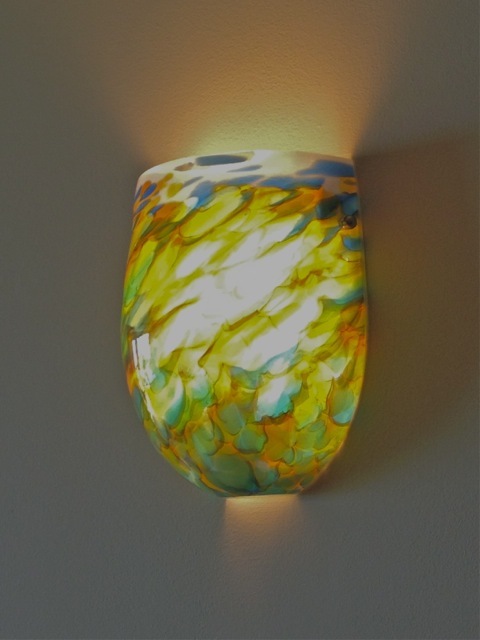 I use a variety of glass techniques to achieve my unique Wall sconces. 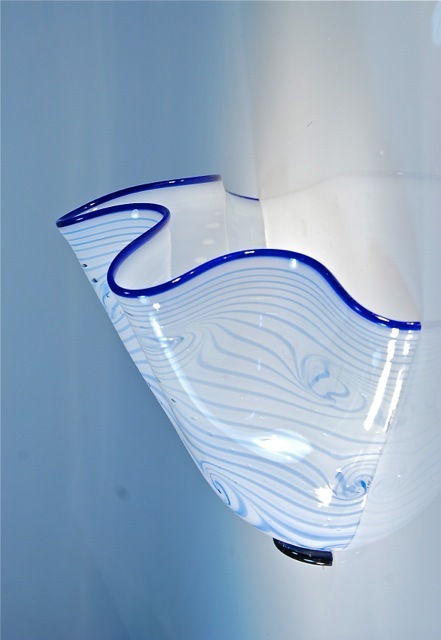 Blowing, Fusing and slumping all play a part in the design creation and execution. 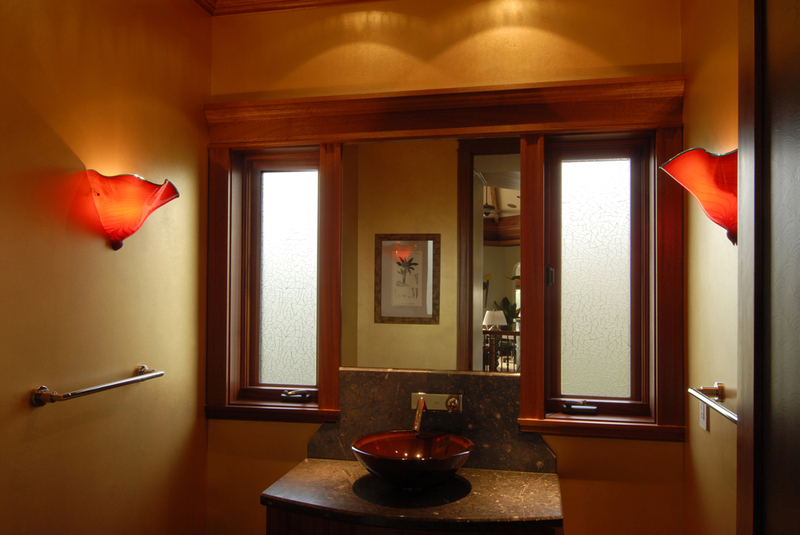 I also use a host of fantastically qualified Blacksmiths from around the world and the US to build any metal parts that I need. 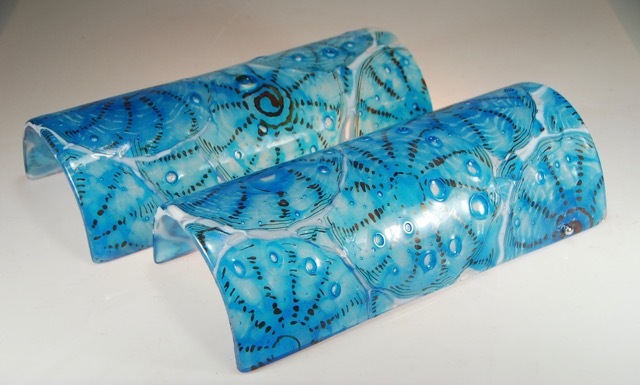 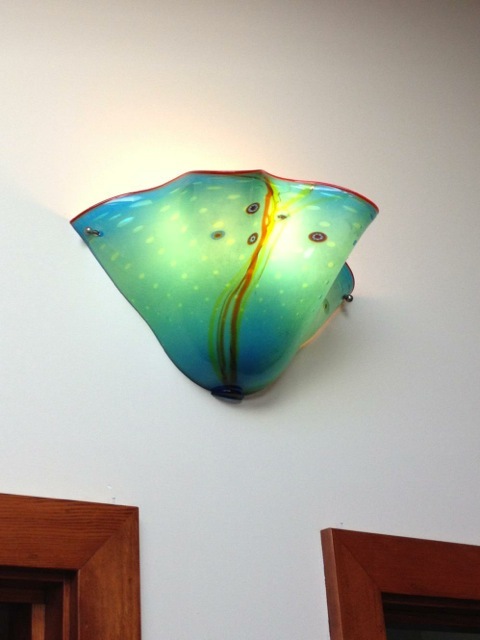 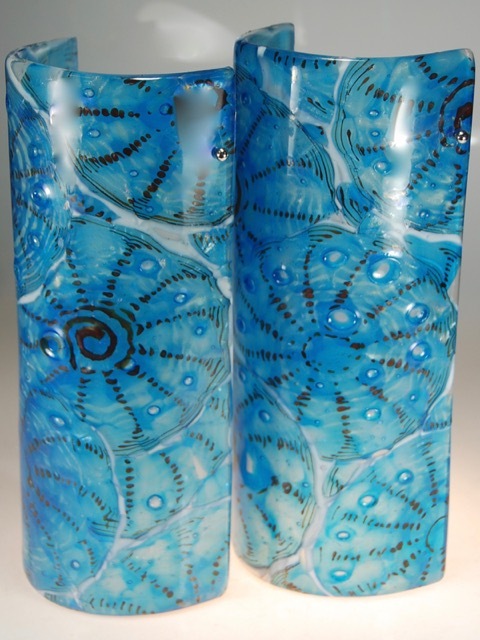 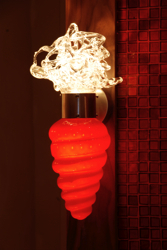 Whether its Indoors or Outdoors Strini art glass can achieve and design unique wall sconces for you.